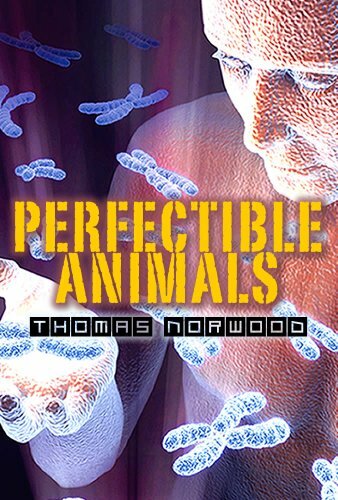 Kindle Fire at KND eBook of The Day: Perfectible Animals: A Post Apocalyptic Technothriller by Thomas Norwood, 4.6 Stars – Just $0.99! THE NEXT STAGE IN HUMAN EVOLUTION IS ALMOST HERE… BUT WILL HOMO SAPIENS SURVIVE? GET YOUR COPY OF PERFECTIBLE ANIMALS NOW TO FIND OUT. It’s 2065. Environmental and social chaos are poised to disrupt all life on Earth. Michael Khan, a geneticist struggling to save his wife from a deadly virus, is recruited by a secret organization to engineer the next stage in the evolution of Homo sapiens. When the military learns of his research, they force him to help create a bio-weapon to be used against rebel groups who are threatening civil war. Desperate to save humanity before they wipe themselves out, Michael genetically modifies over one hundred children. Ironically, though, they start to breed diseases that are deadly to Homo sapiens, and he is arrested for bio-terrorism. Now, Michael isn’t only fighting for the life of his wife, but for his own life, the lives of his modified children, and those of millions of civilians about to be wiped out by diseases he is responsible for creating. The problem is — he can’t save them all. Thomas Norwood grew up in Melbourne, Australia. He spent most of his twenties traveling the world and trying not to take things too seriously, and most of his thirties trying to make up for lost time by taking everything way too seriously. As he approaches forty, he hopes he can find a happy balance. Thomas currently lives in the Yarra Valley with his wife and two cats along with a large assortment of native animals. His house runs on solar power and rainwater, and his vegetable garden is slowly improving. Although he’s not actively preparing for an apocalypse, he thinks you can never be too careful! You can visit his website at www.thomasnorwood.com.au.